Jurgen Klopp today responded to Gary Nevill’s strange suggestion that Liverpool should ‘throw’ the Champions League to have a better chance of winning the Premier League. In the tweet below, you’ll see the pundit’s comment that got a huge reaction from Liverpool fans. During his Melwood press-conference, Klopp destroyed Neville’s nonsense with a sharp answer that made the former Manchester United defender look pretty silly. “How would that work? We don’t play CL or what?” he began, cited in the Echo. 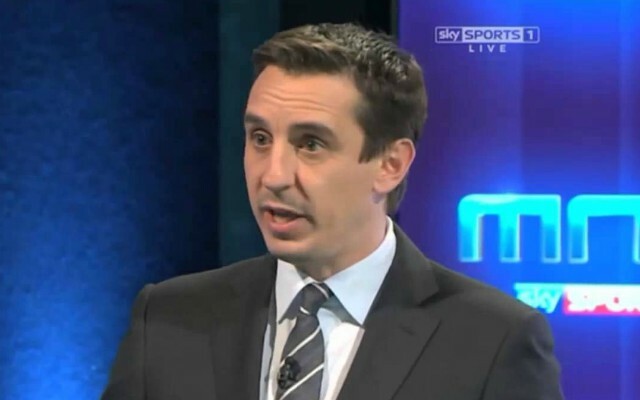 “Last year I don’t think even think Gary would have said ‘let City win in the CL’. Klopp’s right on all counts, of course. But moreover, what was the point in working so hard last season to be in the Champions League if we’re going to not try, this? Remember, that’s what Brendan Rodgers famously did against Real Madrid in the 2014/15 Group Stages and in many ways, it was the beginning of his downfall. On top of all this, there’s the fans who love European competition more than anything and spend hard-earned cash on trips to support the Reds. Imagine the disrespect, especially following last season, if Klopp picked a second string?